Over 300 qualified men have attempted to be head coaches in the National Basketball League. Surprisingly, most of them didn’t last very long. 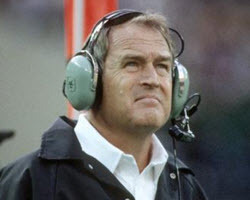 In a league that devours coaches like Elizabeth Taylor goes through husbands, only a handful of them have managed to enjoy successful careers that span for more than ten years. With that in mind, let’s take a look at the best NBA coaches of all time as we look at winning percentages, wins, impact on the game, and championships. It’s rather easy to dismiss Wilkens’ NBA record when it comes to coaching wins as he was surpassed by none other than Don Nelson, but that’s only due to longevity. Lenny Wilkens only had one title to show for a total of 32 seasons while coaching six different teams and had a total of 11 losing seasons which is 11 more than the famous Phil Jackson. It was Wilken’s unflappable and calm demeanour that allowed him to be such an extraordinary coach over the long term. The new owners of the Golden State Warriors pushed Nelson out the door which is actually no surprise as the head coach is now 70 years old. Don Nelson never claimed a title during 31 seasons. 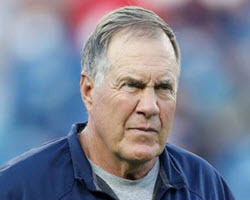 However, he didn’t coach players like Bill Russel either. He did manage to do a sensational job with small line ups, including Chris Mullin, Mitch Richmond, and Tim Hardaway in Golden State. He was also the inventor of the ‘point forward’ concept which most teams utilise to this day. Sloan managed to stay with Salt Lake City for longer than most owners in the NBA. 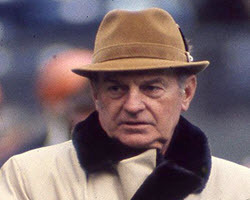 He continued coaching the team for more than 22 years and only had one losing season where he never changed his no-nonsense, hard-edged style. 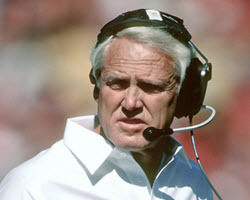 His teams were always hard players and never avoided his coaching styles throughout the game. 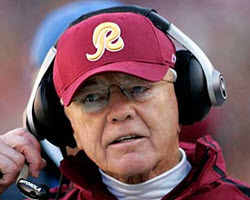 During his first debut as head coach, Daly managed to go 9-32 while coaching the Cavaliers which caused him to get fired halfway through the 1981/82 NBA season. Although he had a horrible start, he was placed in charge of the Pistons two years thereafter and never had a losing season in a total of 13 seasons while coaching in Orlando, New Jersey, and Detroit. He managed to win titles in 1989 and 1990 for the Pistons as helped the Dream Team of 1992 to avoid any unnecessary ego problems. Although he is considered one of the biggest winners when it comes to basketball, with almost 1,500 victories as a head coach for both the NBA and ABA, Larry Brown looks permanently displeased. He always complains, frets, and frowns and no one can understand why. Well, he is undoubtedly a perfectionist. He is considered the greatest team builder and teacher and is the only coach to claim NBA and NCAA titles with the Kansas Jayhawks in 1988 and the Detroit Pistons in 2004. Aquatic sports are mostly categorised according to both its physiological demands on an athlete as well as the training methods required. Swimming places athletes in an environment where their body awareness is greatly affected. Coordination on land and coordination in water require completely different skills, which is why not everyone understands how swimming could benefit athletes such as soccer players, baseball players or even football players. The four main areas where swimming is the best possible training for athletes participating in land-based sports include the establishing of a cardiovascular baseline, prevention or rehabilitation of injury, developing lung capacity and generating full body movements as well as strength. Swim training offers athletes the best option in supplementing their existing training. The primary driver is the injury free addition of low-impact cardiovascular exercise. The added buoyancy in the water equip athletes with exercise options in which both the muscle and joints are protected, while it is also a great way to start a program after recovering from injury. Many athletes that have to cope with chronic injuries prefers to add intensity to their exercise routine via water exercise, and swimming is about the only form of exercise that can help injured athletes during their recovery. There is a major emphasis on the importance of stabling a robust cardiovascular baseline during the preseason phase or almost all sports, achievable via generalised fitness training. This is when most professional athletes prefer to incorporate their land-based training programs with swimming workouts since sport-specific exercises are much less, of a priority and the main focus is on getting back into great shape. Incredible cardiovascular endurance is demanded by swimming while other cardio-based sports such as cycling, and running do create joint stress and mostly focus on the lower body. Swimming targets the entire body places no stress on any of the muscles. Cardiovascular fitness is increased via lung capacity and the one way for athletes to achieve this is swimming. Swim training assists athletes in holding their breath for longer as well as getting used to breathing control. Once athletes achieve high-intensity exercising via limited air, their lung capacity increased and so does their performance on land. This can be measured via heart rate, and at the end of a swim set, by taking the pulse rate, athletes can also check how quickly they can get their heart rate back to normal. Some athletes think of swimming as a cardio-based workout only, although it actually places a high value on the strength of the entire body. Each of the strokes is achieved via a range of motion focussed around the shoulder joints, the torso and even the hips, which also makes it the perfect workout option for golf players or any sport that including either a throwing or rotation motion. At the same time, swimming is an exercise that demands core stability and non-swimmers often find it quite difficult to maintain good upper and lower body strength. Every sports commentator, athlete, coach and fan know that skill is the fundamental element of any sports. When it comes to football it is passing and kicking the ball, in baseball and cricket it is throwing, in swimming and fishing, it is turning and diving, in rugby it is passing and tackling, and in netball and basketball it is shooting and passing. The foundations of sports coaching are practising, learning, and the mastering of basic skills, although mastering the basics is only the first step. Athletes never fail due to a poor skill level. They fail because their ability to perform that skill is poor and that is due to poor coaching. The definition of a sports skill is that it is the ability to perform any sporting skill consistently well under fatigue, at speed, and pressure condition in a competitive environment. Perfection is to find a coach, learn how to and then to practice till you perfect it, what every athlete want is to learn the basics, perfect that and then to master the sports skill so that they can enhance their personal performance no matter the conditions. In mastering a sport, practice is no longer all it takes, it is learning the sports skill, and this is where a great coach can do wonders. Once the athlete can perform the skill well at speed, technical perfection comes with adding under pressure and under fatigue to the equation. Coaching is even more needed when the athlete manages to perform the skill perfectly well during speed, under pressure and under fatigue as this is when it is necessary to record how many times the ball was dropped, the number of errors made at critical moments, how many times the ball was missed. This is also where mental pressure and emotional stress have a huge impact, and the coach working through the process with the athlete can make all the difference. The next step is to check that the athlete can perform the skill perfectly under fatigue, at speed, and under pressure, this time consistently is added to the list. Being able to achieve perfection under all the mentioned conditions could be luck but being able to perform it consistently is the sign that a real champion is in the making. It is what many refer to as the no-compromise training approach. It is training the brain that poor skill, sloppiness and inaccuracy is not accepted. As the next step in training is adding competition conditions to all the other areas of perfection. It is entering the athlete level where competitors have already mastered the skill, the level of competing against champions, where the slightest misjudgement or losing of focus could cost you the game. It’s a level only available to sports superstars that enjoyed the luxury of being trained by a real sports coach. 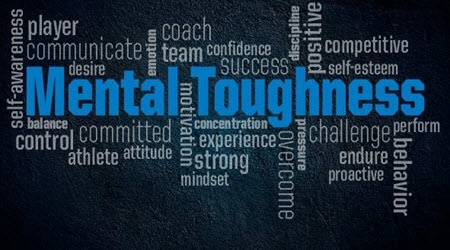 Being labelled as mentally tough is the highest compliment any athlete can receive, mental toughness is not a quality that individuals are born with it, it is an attitude that must be learned or adapted, a positive mindset that changes perspective and increases production. The most influential or ideal people to help and teach young athletes to develop this special talent, philosophy or ability are parents and coaches. It is a balance between ability, tolerating setbacks and staying mentally strong. Most coaches call it a priceless gift that influences the athlete’s whole life and not just his attitude towards his sports career. There are a few specific outlooks or attitudes that should be communicated to younger athletes; the first and most important of those is that sports are fun. Whether a match results in a win or a loss the match itself remains a fun activity enjoyed with the rest of the team. Every teammate or athlete should enjoy every second of participation and the most important thing to imprint in young athletes’ mindsets is that winning is not a measure of enjoyment. The process of achieving mastery is challenging, long and often requires commitment, hours of practice and exercise, as well as a positive “, can do” attitude. 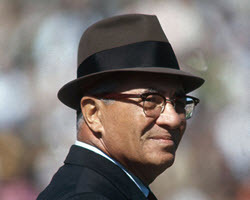 The coach famed for leading the Green Bay Packers to victory, Vince Lombardi, often refers to the saying that the only place where success comes before work is in the dictionary. The price of success is hard work. To master any sport requires practice, more practice and them some practice. Whether in life or sport, mistakes are a vital part of learning, without them we won’t learn as fast or a much, legendary UCLA coach, John Wooden sees mistakes as the stepping stones to success and achievement. It is important that coaches emphasise to athletes that making mistakes is better than avoiding the opportunity to shine, they are performance enhancements and shows where improvement and adjustment are needed. There is only one mistake in sports and life, and that is the failure to learn from our experiences. Highly successful coaching includes praise and emphasis on both efforts and the outcome, repeatedly communicating to athletes that their efforts are as important as the outcome is vitally important in motivating teams. Youngsters react on both their coaches’ words and actions, and therefore all efforts should be acknowledged in the same important light as winning results are. Young athletes should be sure of the fact that their performance in sport or their academic performances is not what identify their worth. Coaches play an important role as they should show athletes that they accept all unconditionally no matter the result, the effort and being part of the team is always acknowledged. By showing young athletes that even the coach has failures and mistakes, which he/she gracefully accepts, teach young children that everyone is fallible humans and that we move past mistakes to reach new heights via the lessons we learned from it. Coaching made fun is what everyone wants it to be, yet it is a bit harder than most think. You need to provide an environment in which players want to be, but at the same time you need to train them to do their best and to achieve all this requires a few pointers, so here is what the experts say. It all starts by asking a few questions, during training you need to answer whether you think it is fun and if the players enjoy the session. You also need to answer the question that should you have been part of the session would you enjoy it, basically the coach needs to step into the shoes of the trainees. If the answer on any one of the above questions is negative, the next question would be how to change it. 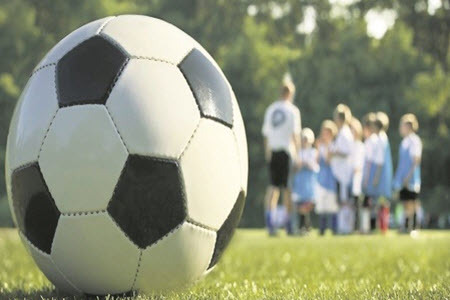 By coaching younger children, it is much easier to bring an element of fun into the training session, where it could be a bit more challenging when the team is older. Yet the fun element is almost naturally part when the group are familiar with each other and comfortable in the company of the entire team. Primary school aged sports coaching is ideal for bringing in little friendly challenges, this is to get the initiative going on how to succeed in every session, it helps develop the physical skills of the team. Many coaches use this technique to identify natural leaders who thrive when it comes to both the psychological and decision-making aspects of the sport. Coaching includes identifying what type of player each of the participants is and then to place them in an environment where they feel slightly challenged, just enough to keep them interested in the sport but at the same time to make them feel needed and comfortable. It is always best not to overdue structured training, by staying away from drills it could be a lot easier to implement a natural flow. Before practice starts in full swing allow players to have some free time interacting with each other and the ball. It is also a great time to have a quick joke or two going as it sets the tone for the remainder of the training session. Discuss something of interest and make sure everyone is comfy before the session starts in all seriousness, and at the end discuss the session and get their opinion. More vital than any planning of the training is to provide players with a session that is engaging and that increase interaction amongst the team and you. It is vital that the coach get to know each of the players individually and the more the team interact, the better they will know each other. Everyone should know mistakes will happen, they good as it gives you and the team reason to brainstorm together about you will eliminate these from happening during matches. One of the mentality epidemics that most multi-skilled coaches are eager to change is the “I Can’t Do” attitudes of society. Training, coaching and directing young children towards a “Can Do” attitude is what most aims for and sport coaching opens-up the opportunity to do just that. There is a major danger that young children will struggle to catch-up, be left only on the starting blocks or will be completely lost from the enjoyment of sports altogether. This is only one of the areas where school have a major role to play, teachers have access to every single child in the country and it is here where the foundation of any strong nation can be built, it is like doing all the preparation, laying the strongest possible foundation to build a strong house that will be rock solid through life. In the sports world, the most important people are coaches who are perfectly placed to offer their proteges with everything needed and they are the ones laying the fundamental building blocks, it is here where sports stars get the kick needed to reach their full potential. What leads to longer-term success and ability is multi-skill upbringing. Essentials to the upbringing of young children are travelling, stability, catching a ball and throwing balls. By allowing younger children to develop a range of skills, it improves their balance and coordination, speed and stamina, flexibility and agility as well as their power and strength. It readies them for a life in sports, improves their performances and at the same time, it influences the choices they make in the future. Sports coaches agree that the above skill-development is vital, yet what makes everything possible is a “Can Do” attitude. If young children believe they can do anything they are more open to try anything, which includes sports, academic achievements and how they approach their futures. Developing a positive mindset changes all, it makes it easier to get a new idea across and it provides the young child to look forward to learning new skills such as jumping, catching and throwing. Due to the variety of electronic entertainment available, young people quickly get caught up in games that gives them the feel of achievement, should they feel positive about themselves from an early age and learn how to use their physical skills, chances are they will never exchange the social aspect of sports and the great outdoors to hide indoors with a video game. Coaches want younger children to get hooked on the high only sports can provide, since once they get accustomed to the feeling there is nothing to top it. Many younger athletes have a fear of rackets, how to use balls and by being open-minded they can master all these skills quickly and become the self-assured young people they ought to be. 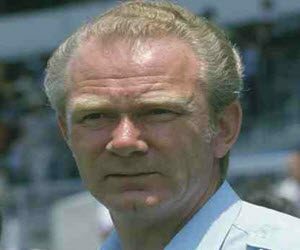 The twelve football managers that make the longest-serving list in European history includes club managers that served from around nineteen years up to well over forty years, and these sports heroes include the following. At the end of the season, Arsenal’s Arsene Wenger will retire after spending 22 years as their club manager. The dramatic decision was made by the Frenchman on Friday the 20th of April, leaving the club scrambling to find a suitable successor. Wenger is the longest-serving manager of the Arsenal club, although when it comes to the history of European football UEFA rankings, he is not by far the longest serving club manager. According to the UEFA ranking, the shortest tenure on the list is managers in service for at least nineteen years, while the longest service is 44 years. 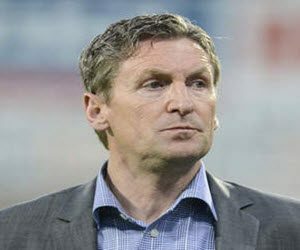 Several of the football managers have won numerous trophies during their reigns, others are famed for building incredible teams, and when you look down the list, each of the twelve manages have unique qualities and have contributed a great deal towards football. 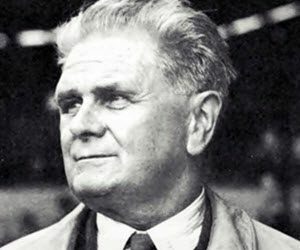 Vittorio Pozzo served as manager from 1929 up to 1948 and during his 19-year reign lifted no less than two World Cups as the took Italy all the way in both 1934 and again in 1938. Pozzo is considered the pioneer of tactical play and was one of the first to suggest pre-match training camps for players requesting to be part of a team consisting of a group of men that are mentally and physically strong. 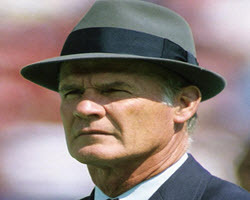 In total Valeriy Lobanovskiy managed for 19 years which includes from 1974 to 1982, then again from 1984 to 1990 and his last reign was from 1997 to 2002. 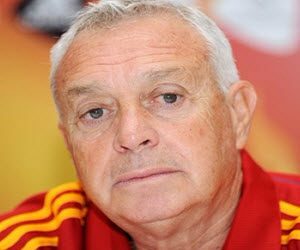 His coaching experience includes managing teams as diverse as Ukraine, Kuwait, UAE and the Soviet Union, yet Lobanovskiy is known to most for coaching, Dynamo Kyiv, the Ukrainian Premier League club, which he guided towards winning thirteen titles, and he earned the title as the coach with the most disciplined and scientific approach. Juan Santisteban first played for Real Madrid in the 60s and then in 1988 became the manager of the legendary club. 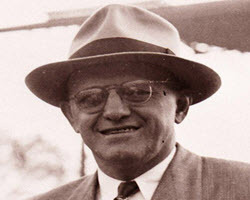 Santisteban remained in charge until 2008 during which Real Madrid won six European titles, and some of the players were not even born yet when he took over as manager. Arsene Wenger is one of the Premier League era giants and his 22 years with Arsenal started in 1996. 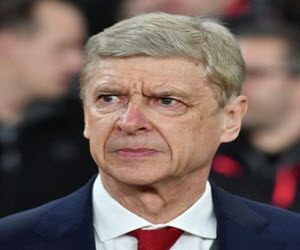 He has guided Arsenal to seven FA cups and three Premiership titles, before announcing his decision to quit in 2018, after building a twenty-two-year relationship with the team. Wenger, according to Thierry Henry the formal Arsenal striker’s legacy is untouchable. Francky Dury’s 25 years started in 1990 up to 1993, then again form 1994 up to 2001, 1001 to 2010 and again in 2012. In the 90s he managed Zultse VV in Belgian, which he is still managing today, he never left his “day job” until the UEFA cup in 2006. The great philosopher Aristotle once stated, “We are what we do repeatedly. Therefore, excellence is not an act but merely a habit”. 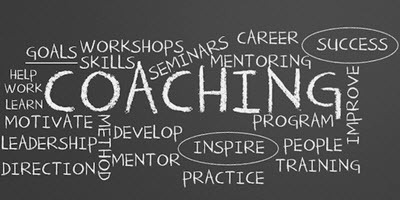 With that being the case, what exactly are the habits of highly effective coaching? What are the factors that sensational coaches do every single day to make them so great? 1. Make training more demanding and more challenging than the competition the athletes are targeting. World-class coaches are well aware that competition is the last place to find out where the athletes mental and physical limits are. It’s for this reason that training needs to be more demanding and more challenging, emotionally, tactically, technically, mentally, and physically than the competition the athlete is preparing for. 2. Develop and learn as a coach at a faster pace than the athlete. Renowned coaches quickly realise that success is all about a moving target and that the primary goal is to stay relevant by committing to continuous improvement, honest professional and personal evaluation, and life-long learning. 3. Accelerate the rate of learning in a quicker time frame than your opposition. The introduction of the internet has insured that there’s no longer any secrets in the world of sport. This means that everyone essentially knows what you know and anyone can obtain anything at anytime from anywhere and its absolutely free. Learning something new everyday is what everyone is doing and phenomenal coaches are aware of this and always strive to accelerate their learning curve in a quicker manner than their opposition. Creativity is the key difference between being a good coach and a phenomenal coach. 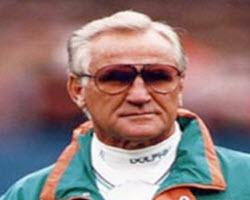 A good coach can easily follow a program, while phenomenal coaches invent them. This allows coaches to create new ideas and new directions which will completely change the sport. Always remember that copying kills and if you decide to follow others or simply duplicate their success, it will eventually turn into a recipe for disaster. Every significant moment in a sporting event, regardless of the sport, is person on person. There’s no more true team sporting events left. With performance analysis calculating at fractions of seconds and millimetres, every athlete’s weaknesses and strengths are known by the opposition. 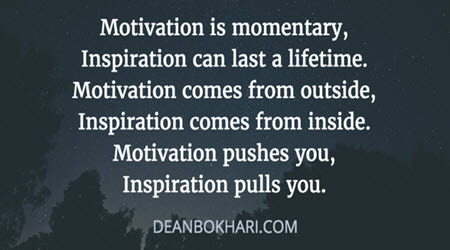 World-class coaches constantly engage with athletes by inspiring them. To successfully inspire them, they prepare the athlete with passion and help them realise their full potential. 6. Ensure every athlete prepares themselves in every aspect for the opposition. The days of winning a game or match by having the fittest athlete are long gone. Sport is considered so multi-dimensional that victory stems from being the very best in every possible aspect, including nutrition, travel management, sleep, gym-training, recovery, attitude, skills, preparation, training, etc. World-class coaches are well aware of this fact and always strive to develop winning environments. 7. Adapt your training programs and plans to optimise the impact of each athlete at each and every training session. The world’s best coaches plan meticulously and with remarkable attention to detail. However, they also fully understand that the primary goal is to ensure the training session offers optimal opportunities for the athletes to be fully prepared.